In an effort to further improve the speed and reliability of the EventEspresso.com website services (e.g. validating support license keys and serving plugin updates), we’ll be taking EventEspresso.com offline for about two hours this evening to perform some database optimization maintenance. 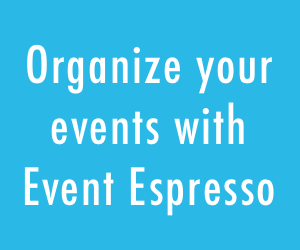 Like we always advise Event Espresso users, we will backup the database just as a precaution. The EventEspresso.com website database will remain secure and your account information will continue to be protected during this scheduled maintenance. If you have any questions or concerns, please comment below or contact us. The website maintenance has been complete. If you experience any issues with slow page loads, errors in getting plugin updates or license keys validating, then please contact us. HELLO! I had got an error when i download plugin link. Show an error like “404: Sorry, file not found. Please contact Event Espresso Support for assistance.”. I can’t download anything. How can I do ? Are you still experiencing this error?